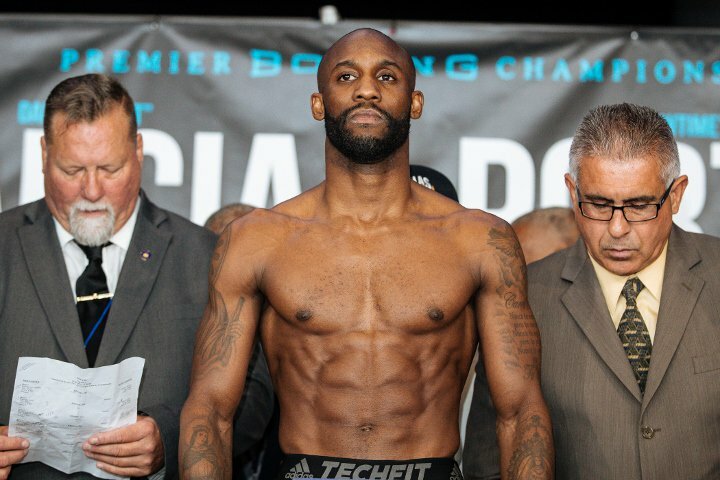 Yordenis Ugas earned a shot to fight for the WBC welterweight world title following a 12-round unanimous decision victory over Cesar Barrionuevo in a world title eliminator on Saturday at Barclays Center in Brooklyn, New York, on the co-main event of Danny Garcia vs. Shawn Porter. The scores were 120-108, 120-108, and 119-109. FightNights.com had it 120-108. The bout was more of an advertisement for Benadryl, but Ugas (23-3, 11 KO's), 23, a 2008 Olympic bronze medalist representing his native Cuba, was in control from the first round. In the first round, Ugas knocked Barrionuevo back with hard left hooks to the body and counter right hooks to the head. Barrionuevo (34-4-2, 24 KO's), 29, of Argentina, connected with a right in the third round, but Ugas responded with a left hook to the body, and poured on the pressure, but was also missing a lot of punches. Ugas cruised to the win from that point forward. Garcia and Porter will fight for the vacant WBC title in the main event.